We loved this event, but the weather conditions and locations made it a good challenge to take on! 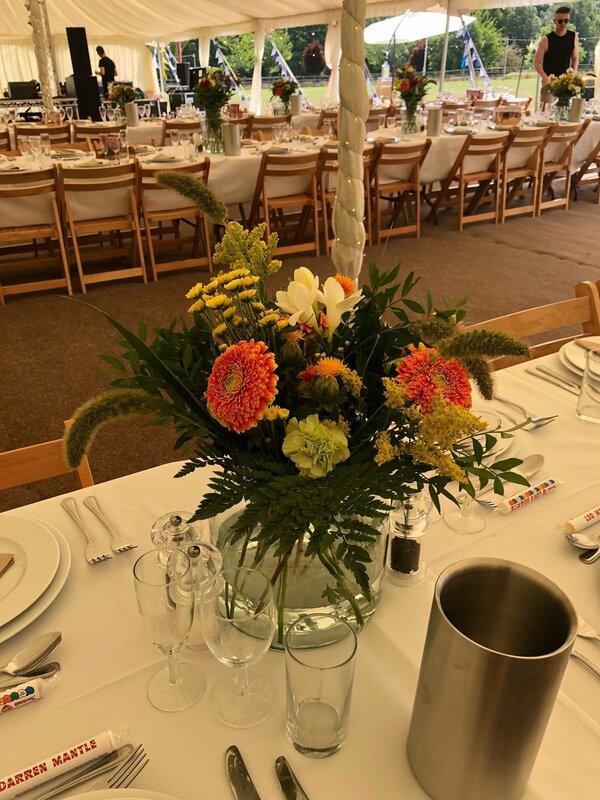 In 30 degree heat, in a festival style wedding with limited cooler space and no air con, we delivered a meadow themed wedding flowers display. From table bouquets to flower arches, button holes and corsage bracelets, our team had the floral aspect of this summer festival wedding covered. If you’re looking for Wedding ideas, from fern garlands, to flowers, or terrariums, get in touch.